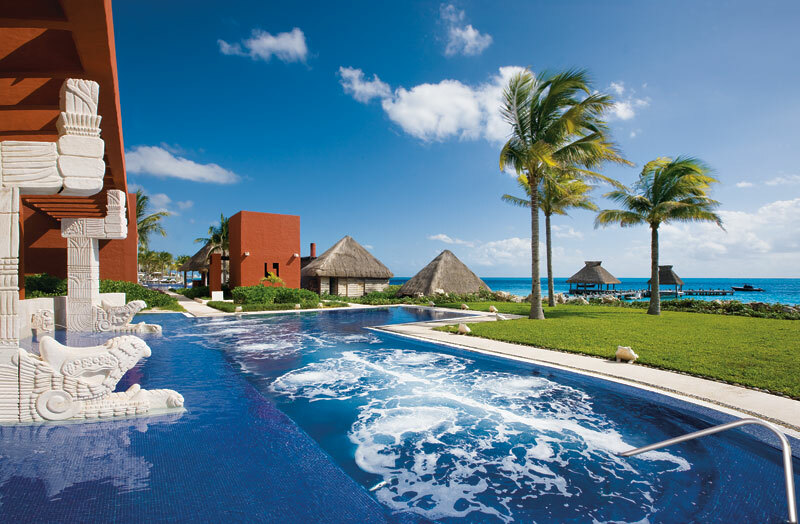 Zoetry Resorts The Art of LIFE! I’ve been blessed to visit each of the Zoetry Resorts both in Mexico and the Dominican Republic a few times since the brand started. And each visit at EACH of them simply takes my breath away! Their Locations are Beautiful! 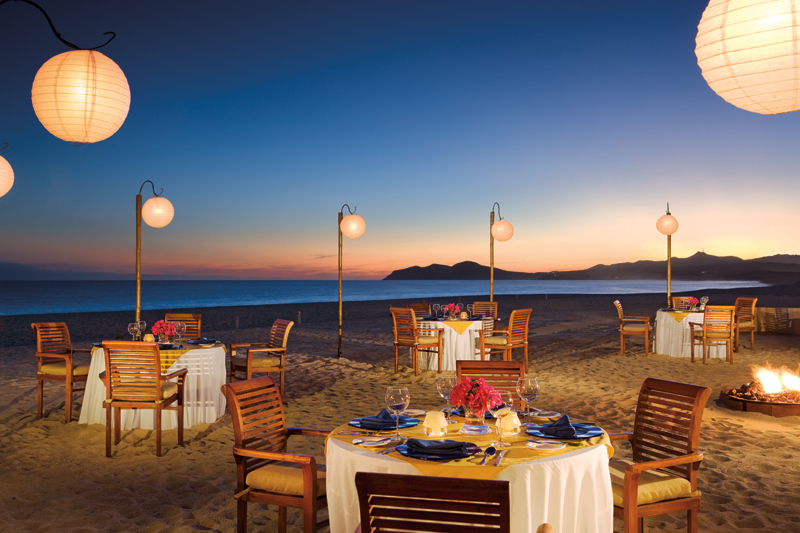 On The Pacific Coast of Mexico is Zoetry Casa Del Mar Los Cabos on the Sea of Cortez with gorgeous views everywhere you look and the sound of the Ocean, The Service, The Food, The Spa, The Staff, it all adds up to an Ultra Luxury Experience! In the Mayan Riviera near Cancun you will find Zoetry Paraiso de la Bonita, each suite is decorated with treasures from around the world and their spa is one of the only Thalasso Seawater Spas in Mexico and they have Traditional Temazcal steam room ceremony every other day, this along with the Service, Staff and Food makes for a true Pampering Experience. 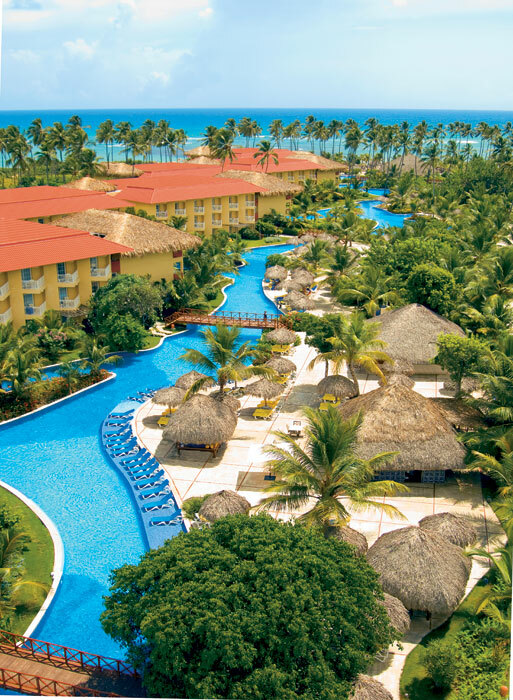 In the Dominican Republic you will find Zoetry Agua Punta Cana! 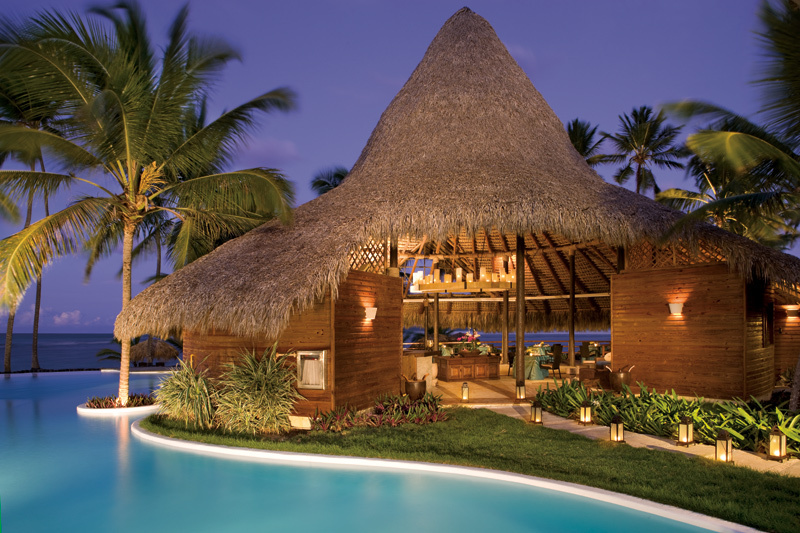 A True Gem on the Beach in Punta Cana! There you will find Romantic Seclusion, and one of the most beautiful beaches in the Dominican Republic and I think in the WORLD! Just off the beach is a reef fromation that makes the waters in front of the hotel so very calm and perfect for floating with a drink in your hand! The Food there is true gourmet and the service is first class all the way. So if you are looking for Ultra Luxury and ENDLESS PRIVILEGES® I suggest Zoetry Resorts…”Where Life, Art and ZEN meet to make the Most Magical of Experiences! 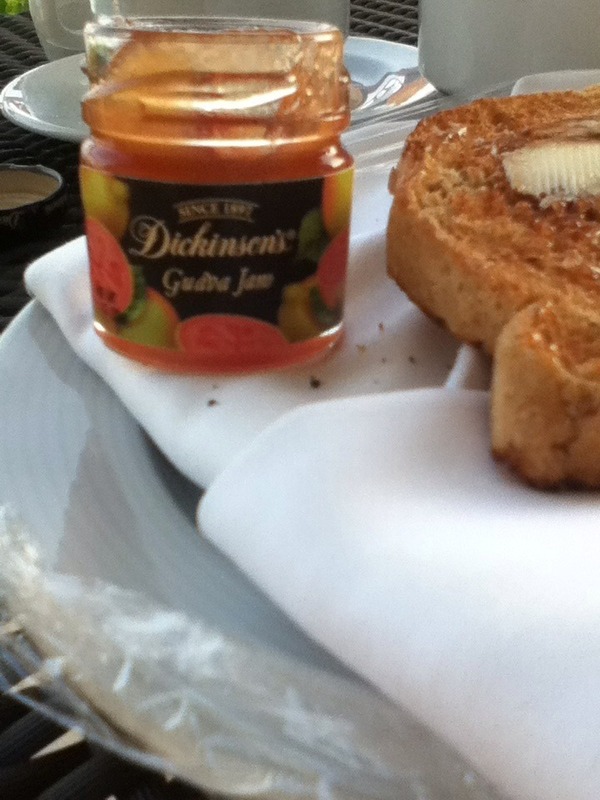 Thinking of “Doing The Dominican”??? 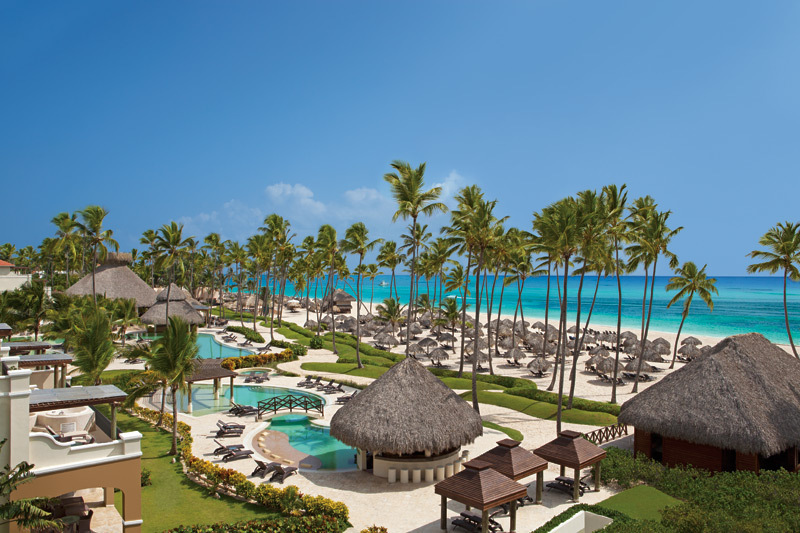 Are you thinking of a Dominican Getaway? 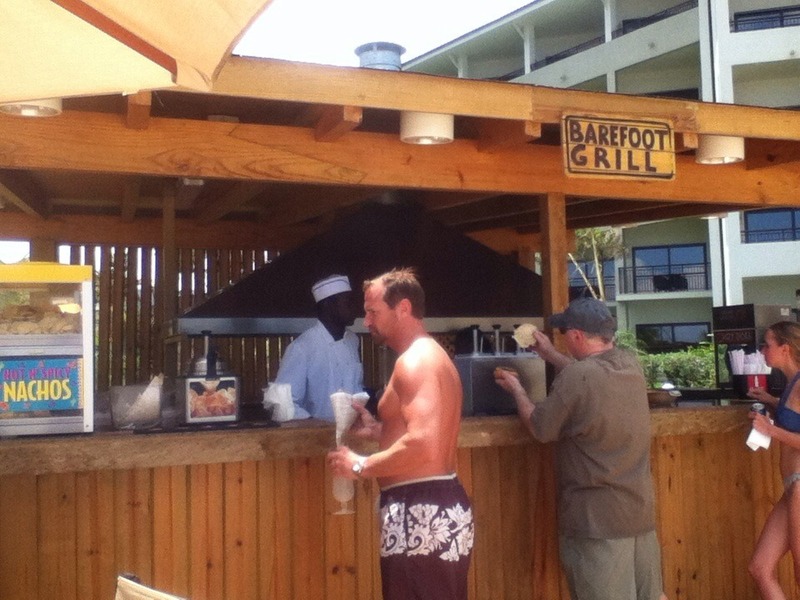 Its a FUN Destination for sure with many choices for All Kinds of FUN in the SUN! 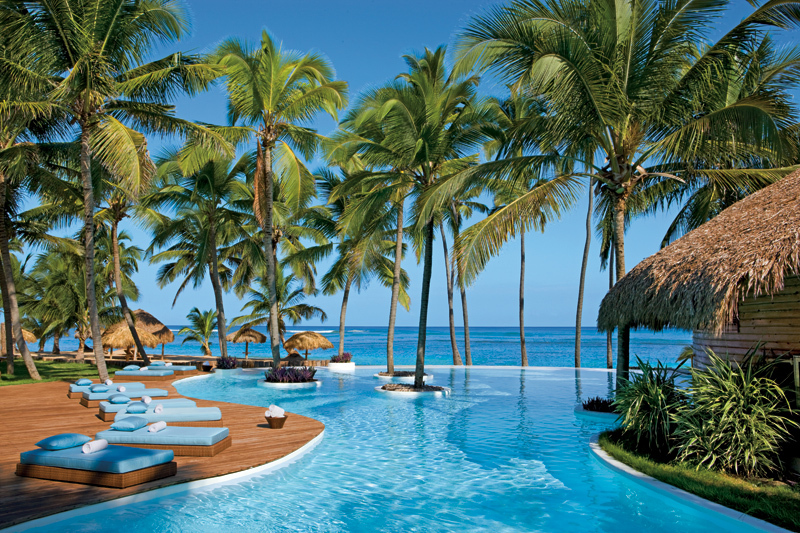 And remember too there are two sides to the Dominican Republic! 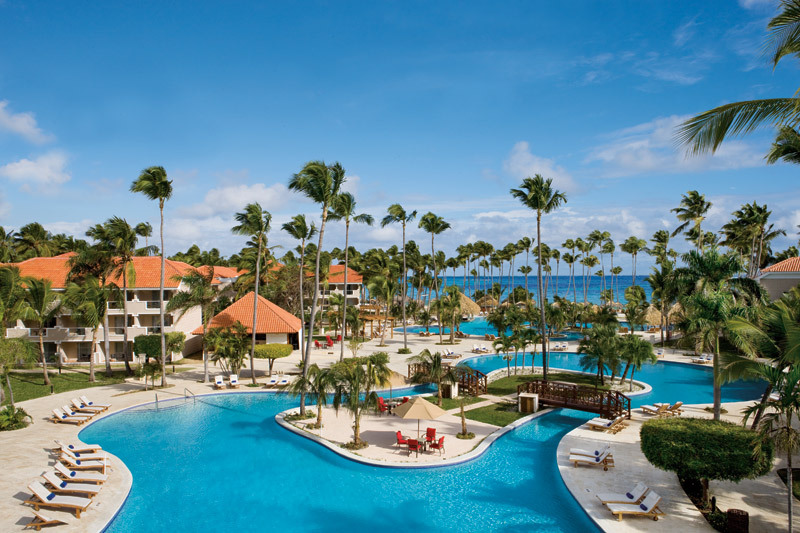 The Punta Cana / Bavaro Beach area which is on the Atlantic Side of the Island and then LaRomana which is on the Caribbean Side! If you are flying into the Punta Cana Airport …here are some of my FAVS listed by closer proximity. Dreams Palm Beach! only about 30 minutes from the Airport! Next in line are Now Larimar and Secrets Royal Beach! 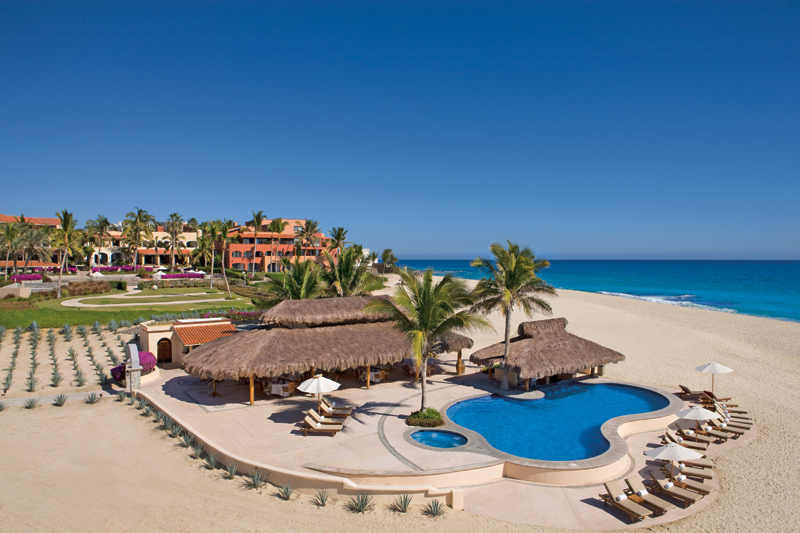 Secrets Royal Beach is Adults Only and next door to them is Now Larimar the Family Friendly Resort. And they are about 40 minutes from the airport! 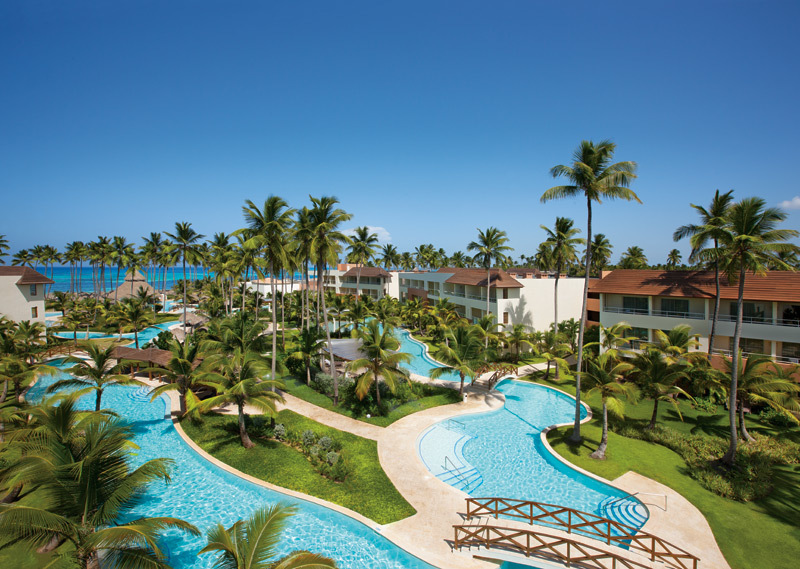 Down the road a bit is Dreams Punta Cana about 50 minutes from the airport and has the largest winding pool in Punta Cana! 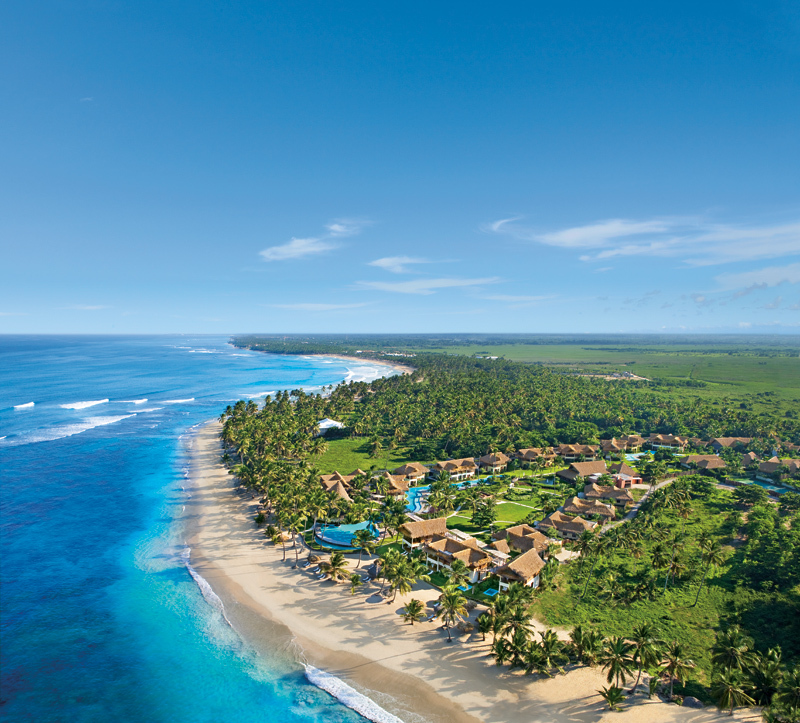 Zoetry Agua Punta Cana is about 60 minutes from the Punta Cana Airport and a Magical Place for sure! The Infinity Pool at Zoetry Agua over looks the magnificient beach and a very calm ocean thanks to the reef that protects it from rough waves! 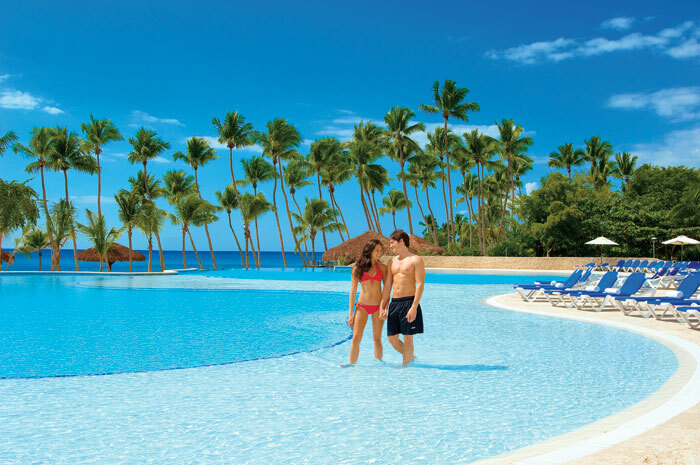 On the other side a mere 90 minutes from the Punta Cana Airport or 30 minutes if you fly into the LaRomana Airport is Dreams La Romana! The Infinity Pool at Dreams LaRomana overlooks the Beach and Ocean and the snorkeling here is very good! I’ve been to each of these resorts and love each of them for various reasons… You can’t go wrong on choosing any of them! Last Morning Dilemma…Beach, Bath or Shower??? Today is my last day here at Secrets in Jamaica and my “Last Morning Dilemma was … Beach, Bath or Shower??? The Bath won out! I am in love with the Jacuzzi Bath in my room and couldn’t resist taking one more lovely, relaxing, massaging soak in it! I’m going to miss it..along with so many sweet moments that I’ve enjoyed here! A little slide show…showing my choices of Beach, Bath or Shower. Did I tell you I LOVE the Jacuzzi TUB! Shopping Made Easy and FUN here at Secrets in Jamaica! LOVE The Signature Shop and Handcraft Shops here at Secrets in Jamaica! They are Treasure Troves for shopping for Necessities and Souvenirs alike! They are open from 8am until 10 pm everyday. Right now there are 2 shops, but soon they will be expanding to 3. They are located in the “Shopping Plaza” near the Coco Cafe. 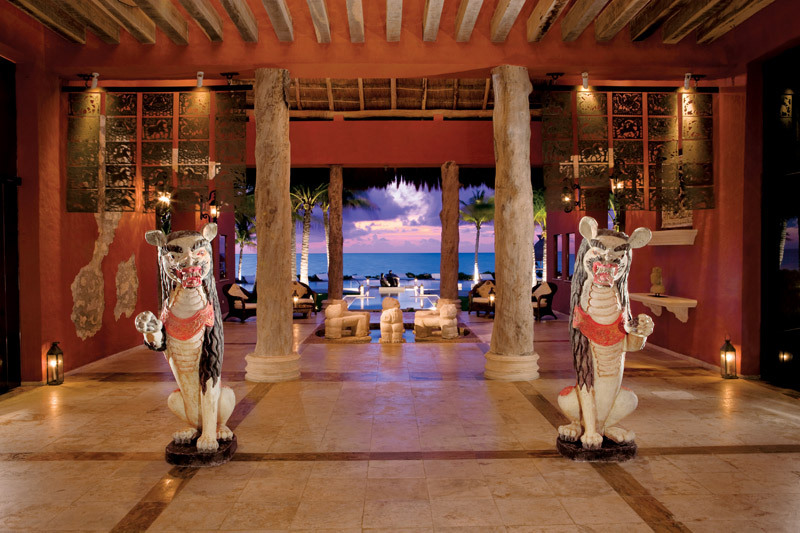 Just off the main lobby of Secrets Wild Orchid. Both shops are staffed with helpful and friendly folks and managed by Mrs. Bernadette Dunn. Mrs. Dunn has a fashion flair and the shops show that in what they carry! I loved that all kinds of Resort Wear is offered for all types of figures, being a “fluffy lady” myself…I always appreciate that! They have logo wear with the Secrets Logo and all types of tee shirts along with things you may have forgotten or TSA or the airline may have taken…like hair clips, scissors, swim goggles and more. I was truly impressed at the VARIETY! So impressed I think I took over 200 pictures in both stores! The slide show doesn’t contain all 200 but I hope it will give you an idea of what you can find and FUN you will have once you enter the shops! Shopping is FUN and Easy here at both Secrets St. James and Secrets Wild Orchid! Remember to stop in and Visit The Signature Shop and Handcraft Shop while here and check them out! They are great to pick up items you may need quickly and to shop for fashions you just MUST HAVE! Also think about gifting opportunities for Tropical Birthday and Christmas Gifting! You can “Walk on Water” @Secrets in Jamaica! Can you walk on water? Well you can TRY to here at Secrets in Jamaica! Yesterday as I was passing by the pool I got to see a fun group of friends in the pool with the latest FUN Activity…The Aqua Ball! And let me tell you they were having a BALL! Hope you enjoy this little slideshow with pics and video clips showing the Aqua Ball! You get in, they fill it up with air and then you walk your way to the pool and they “PLOP” you in! And then the FUN Begins! Everyone was laughing and enjoying…the folks in the ball and all of us by the pool enjoying the show! WHAT FUN! There is always something fun going on here!